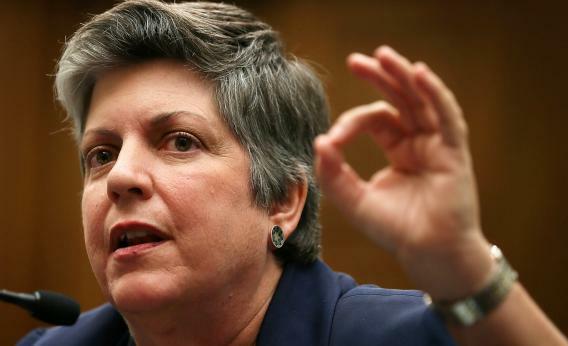 David Petraeus email privacy: What Janet Napolitano could have told the CIA chief. U.S. Homeland Security Secretary Janet Napolitano knows there’s just one surefire way to make sure no one reads your emails. CIA director David Petraeus and his biographer Paula Broadwell apparently coordinated their liaisons via Gmail, using a tactic called a “dead drop.” My colleague Ryan Gallagher has an excellent post explaining how it works, why it failed, and what the lovers could have done differently had they been even more circumspect (aside from, you know, not having an affair). Serious email security requires encryption and anonymity tools. Or Petraeus could have taken a cue from his counterpart at the Department of Homeland Security. Asked in September how she keeps her email account secure, Janet Napolitano gave a simple answer: She doesn’t have one. Neither did her predecessor, Michael Chertoff. Some in the press scoffed at Napolitano’s admission. But given the extent of the surveillance state as revealed by the Petraeus affair, I wouldn’t be surprised if a whole bunch more government officials are taking a fresh look at the old back-room-meetings, darkened-alleys, and dimly-lit-cafes approach to secure communication right about now.